Welcome to the Friends of Bill Henry's Website! If you’d like to contact Bill about a legislative issue, or if you have any kind of constituent problem, please email Bill’s office at bill.henry@baltimorecity.gov or call him at 410-396-4830.
or – you can just fill out the form below! 11:00 a.m.-4:00 p.m., Monday through Friday; evenings and weekends, by appointment. The BCMC (Baltimore Community Mediation Center) is hosting a Block Party during May CeaseFire Weekend in the Waverly neighborhood on Venable Avenue alongside our center (3333 Greenmount Ave). We would love to see you there! Come enjoy your Saturday with us and celebrate life during CeaseFire weekend! Please join these dedicated volunteers for just one hour a month. They meet in the parking lot of St Mary’s Church, 5502 York Road, the second Saturday of every month, weather permitting. Dress for the weather and bring work gloves if you have them! THEY ARE MAKING A DIFFERENCE! FREE FAMILY EVENT: The Baltimore City Departments of Public Works, Transportation, General Services, Recreation and Parks, Police,and Fire will have their BIG TRUCKS on display for all the kids (both big and small) to see, touch and sit in. BIG TRUCK DAY is held in the parking lot of the Baltimore Museum of Industry, 1415 Key Highway. May is Community Action Month . The Woodbourne-McCabe Neighborhood Assoc. in partnership with the Northern Community Action Center will be hosting a Unity Community Cookout in Alhambra Park ( 5200 Alhambra Ave.) ALL are Welcome! Sunday, May 13: HAPPY MOTHER’S DAY! This is an open, public meeting…all interested parties are welcome. Meetings are held the 3rd Wednesday of every other month. The next meeting will be Wednesday, July 18, 2018. Thank you for your interest in making the Northern District and the City of Baltimore a safer place to live. Thank you for your interest in making the Northeast District and the City of Baltimore a safer place to live. Friday, May 25: Summer Sounds @ Belvedere Square Kick Off! The Square is the place to be on Friday nights in Baltimore, featuring live music from the region’s top bands as well as the restaurants and shops of Belvedere Square. In addition to free outdoor concerts, Summer Sounds offers a Kids’ Zone with family activities. Examples of accepted materials include old batteries, oil based paint, and pesticides. For a complete list of accepted and unaccepted materials, please visit the DPW website: publicworks.baltimorecity.gov/recycling-services. Hear from Community Law Center clients about our work to help strengthen Baltimore neighborhoods! We’ll depart from Community Law Center, 3355 Keswick Road, 21218. Free Parking is available in the lot and on the street. Snacks will be provided on the bus! Please bring non-perishable items to donate to CARES Food Pantry. Tuesday, March 20: First Day of Spring! * In lieu of a formal meeting, the Northern District is celebrating the retirement of Officer Bill O’Donnell after 45 years with the BPD. For Bill’s retirement from the Baltimore Police Department after 45 years, those of us – who know him well and appreciate him beyond what words can convey, especially in Northern District neighborhoods – are throwing him a big THANK YOU party with free food/soft refreshments and a cash local brew bar. There is plenty of free on street parking and in the brewery lot. Do you want to contribute toward a gift? Contact Commander Gibson! The next Northern District Community Council meeting will be Wednesday, May 16, 2018. Camp Baltimore Registration NOW OPEN: Spend your summer with Baltimore City Recreation & Parks! Ages 5-17. GEDCO’s CARES program is currently experiencing food shortages: Baltimore’s residents and families need YOUR help! Items currently in demand are canned vegetables, cereal, mac and cheese, spaghetti sauce, tuna, and canned meat. Any donation, large or small will help to alleviate hunger! Weekday mornings and Saturdays between 10:00 am and noon are the best times to donate. CARES is located at the back of St. Mary’s Church (5502 York Rd). For any additional questions, please contact Rachel Neill, CARES program director, at 410 532-2273. Walter P. Carter E/M School Food Pantry: March 23, April 29 and May 25: Each month volunteers from the community and local churches come together to help with the monthly Meal for Minds Food Pantry at Walter P. Carter. Volunteers are needed beginning 10am to help unload pallets off the truck until 6pm when we hand out the last grocery bag of food. To sign up or learn more, please visit: http://secondpresby.ivolunteer.com/walterpcarterfoodpantry . Habitat Chesapeake is Opening their 6th ReStore Location: We are very excited to announce that our sixth ReStore will be opening in Timonium on March 5th! What’s ReStore, you ask? It’s a discount home improvement center where building material, furniture and other home goods are sold. Materials are donated to ReStore, then sold at incredibly inexpensive prices, and all proceeds go back to Habitat Chesapeake’s home building efforts. The ReStore is accepting drop-off DONATIONS as of now. Drop-offs can be made Mon-Fri, 9am-4pm at 7 W. Aylesbury Rd , Timonium, 21093. Sign up to VOLUNTEER! You can contact Jen Miller via jmiller@habitatchesapeake.org or follow the link below to help prep the store, join us on Opening Day, and for future volunteering! ReStore runs with the great help of dedicated volunteers! Along with my office in City Hall, I also have a district office up here in North Baltimore. The office is located at 5225 York Road - on the southeast corner of York and Glenwood - in the same building as the Northern District Community Action Center, the People's Health Clinic, and the Northern District Housing Inspections office. Leslie Wietscher, my community and constituent liaison, works out of the district office, as does my amazingly-dedicated volunteer: Bill Henry ("Senior"). My administrative assistant, Nia Govan, and my legislative aide, Tim Goldsby, both split their time between City Hall and the district office. While the staff is there earlier and later, the district office is generally open to walk-ins from 11am to 4pm, Monday through Friday, or by appointment on early mornings, evenings and weekends. You can reach all of us by email at bill.henry@baltimorecity.gov or by phone at 410-396-4830. 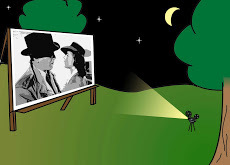 If your 4th District community association, church group, or school is interested in hosting a movie night or showing a presentation at a meeting, please check with my office about using our portable projector and screen. For more information, please contact Leslie Wietscher at Leslie.Wietscher@BaltimoreCity.gov or by phone at 410-396-4830 to confirm availability and discuss policies for usage. Want To Know More about Bill? Click here to see Bill's bio on his City Council page.